Ford is making some awesome audio improvements! Here come some awesome audio improvements! Ford knows how important a good radio in a car is. Music has been a part of driving for years now. It’s been celebrated in many songs over the decades. This is why Ford is devoted to improving the range and clarity FM radio signals. They are doing this with dual radio receptions systems. These types of systems use a 2nd receiver. It also uses the rear-window heater grid as a 2nd antenna. This technology will be seen in the available Sony Audio Systems. These systems will be available on the new 2017 Ford Escape. 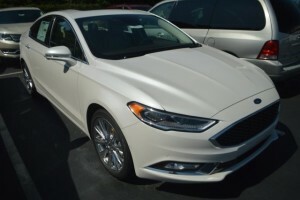 It will also be available on the 2017 Ford Fusion. 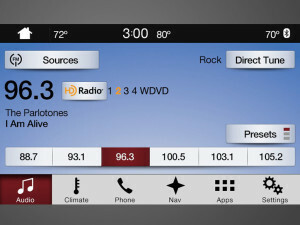 This will be one of the industry’s 1st uses of dual reception for HD Radio. HD Radio uses a special radio transmitter to relay a digital signal along with the traditional analog radio transmission. The Dual FM radio reception will help the radio choose between multiple radio signals occurring on the same radio station frequency. This set up will reduce the interference from the same radio signal when it’s picked up twice. This happens mostly in cities and mountainous areas. The radio signals tend to bounce off of the landscape. Listeners will get a longer and clearer radio listening experience. The second radio receiver will also help to determine which FM radio signal is the strongest. At that point, the radio will play that station. If another signal becomes stronger on the same frequency, the radio will switch to the stronger station. Ford tested this dual antenna technology by testing radio signals across the country. They found that the new system allows people to listen to their favorite radio stations longer when traveling between cities. Ford wants you to have the best driving experience and so does Beach Automotive Group. These audio improvements are just the 1st step. We’re excited! Give us a call today! 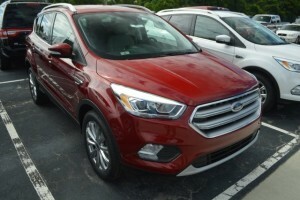 We’ve got the 2017 Ford Escape in stock right now! 0 comment(s) so far on Audio Improvements: Road-trip Excitement!